Heritage 30 AR laminated fiberglass shingles are an algae-relief model in TAMKO's Heritage Series of premium asphalt architectural shingles. 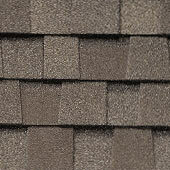 They are designed to give you the rugged beauty of wood shake shingles without the high costs or liabilities. 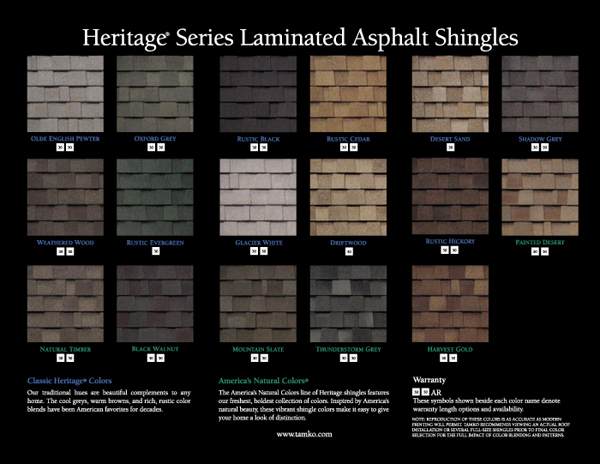 Heritage 30 AR shingles feature Classic Heritage Colors or America's Natural Colors®, are UL listed for wind resistance and Class A fire resistance, and come with a 30-year limited warranty.